Sorry for the shortage of posts lately, I have been slammed with work. Hopefully I will be able to post about that soon. I also have some instructional posts in the works, so stay tuned. 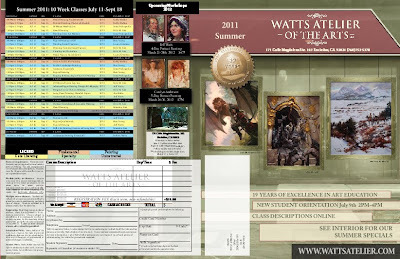 In the mean time here is the summer schedule for Watts Atelier.